Everyone wants a hidden door or passageway in their home, and I sure bet architects would have fun creating them! Check out some of these awesome ones below! 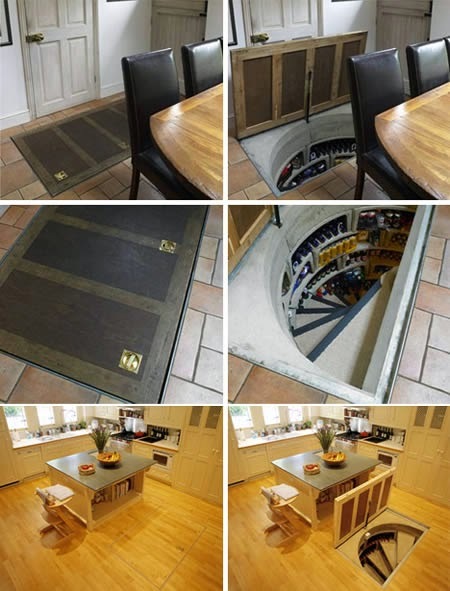 Created by the Spiral Cellars design/build firm. The cellar is insulated on the top and sides to keep the wine at the perfect temperature! This wardrobe has a Narnia feel with a hidden entrance opening up into a playroom. We all remember this classic book fondly, but this home owner took it to the next level with this recreation! This clever ticket booth was created by Creative Building Resources. 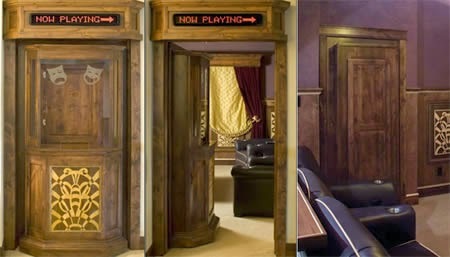 However it's not just a ticket booth as you can see, it opens up into a home theater! This handy drawer is more than just a drawer, it's a vault! 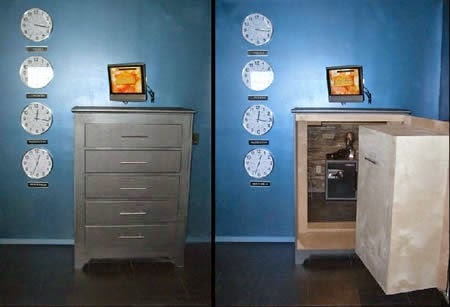 Created by Creative Home Engineering, it's a perfect way to keep your valuables safe.